Providing superior hand safety, these Safety Gloves choices is designed to deliver optimum workspace safety by protecting workers in adverse working environment. 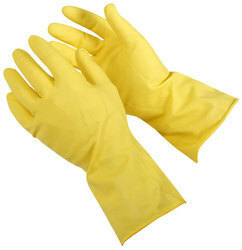 With the gloves developed as per defined industry environment, these gloves also provide safety from common work injuries like hand lacerations and other common injuries. Further, these safety products are also made to undergo on-site review of safety with the goal of keeping working hands safe. We can also provide these with molded polyvinyl chloride (PVC) patches that provide for optimized protection to palm and finger areas. The gloves can also be designed to work on cold and warm weather conditions. 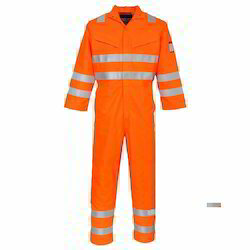 We are engaged in offering an excellent range of quality Boiler Suits. These Boiler Suits are available in various sizes and lengths, these can be custom made as per the client's requirements. These are fabricated keeping the safety of our customers in mind and available at market competitive prices. 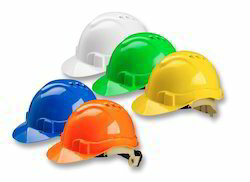 Our expertise lies in making available a wide range of industrial Safety Helmet choices that are developed using impact UV resistant HDPE material which makes them perfect to be used in adverse working environment. In conformance to defined industry safety norms like ISI and others, these come in approved designs as well as with support of plastic head suspension and adjustable chin strap which makes these easy and more convenient to use options. Here, our expertise lies in making these available in different color choices like yellow, blue, red, green, grey and others as specified by customers. Some of its advantages include superior performance, protection comfort against adverse working situations found in factories and construction sites, extended nape support, visor support for offering eye protection, aerodynamic design, light weight finish and rain gutter option among others. 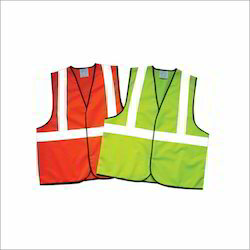 We offer an exclusive range of Safety Reflective Jackets to our clients. These are extensively used in industries like Mining and construction etc. These safety jackets are manufactured using superior quality fluorescent colored fabric as per the specified quality standards. 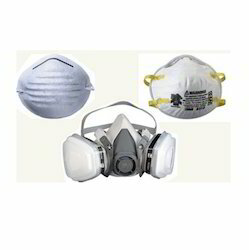 Our safety products are highly appreciated by our clients for long life and superior quality. 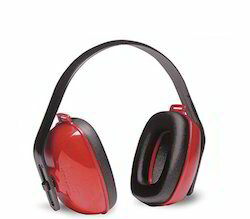 Providing effective support in blocking excess noise as well as managing sound levels these Safety Ear Muffs matches up to the challenging demands of adverse acoustic environment. Featuring use of advanced technology, these ear muffs also provide for comfortable usage as well as superior performance support. Here, our expertise lies in offering a wide range of options to choose from as per specific end usage environment. Having different attenuation levels, some of its advantages include light weight finish, providing suitable protection for workers and environment, supports blocking excess noise and at the same time providing access to sounds like alarms and warnings. Providing superior safety support to workers, these Safety Belt choices allow safe working at high working levels. Finding extensive use in construction industry, these belts also safeguards individual from dangerous exposed situations. 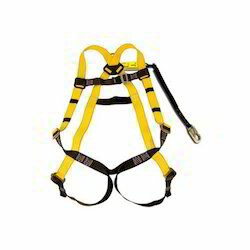 Some of its advantages include precision designs for making user’s job easier & more comfortable, easy to adjust options, high performance characteristics in terms of strength, supporting general fall arrest, suitable to be used for applications like tower climbing and rigging, climbing pylons and other areas. 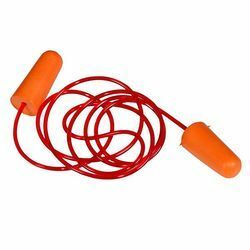 Available in single use and multi-use ear plug options, these Safety Ear Plugs finds use in areas where there is high level of sound contamination. Featuring presence of cord and metal stem ring for easy detection, these find extensive use by industry workers. Some of its standard features include comfortable to use options, convenient and functional usage, deliver unmatched comfort, availability in varied colors and detection using visual or automated metal detection equipment. We can also custom develop these in specifications as provided by the customers. 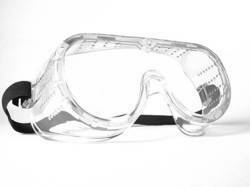 Available in lightweight construction finish, these Safety Glasses choices are developed for use by industrial workers and are in compliance with defined industry standards. As a superior eye wear option, these glasses provide safety from flying debris as well as against UV rays. Some of its advantages include providing safety from airborne particles, liquids, having ventilated side shield temples, wraparound in design with unrestricted vision, soft rubber temple tips that allow comfortable usage for long-duration working and superior impact protection among others.